Dean Smith letter: Former UNC coach buys his players dinner in amazing letter. 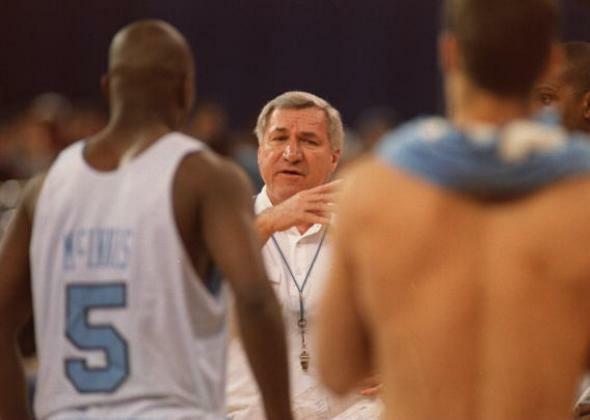 Dean Smith was a pretty good dude. As Jason Zengerle noted earlier this year in Slate upon the former UNC coach’s death, Smith was an early warrior for civil rights and a man who spoke out against injustices wherever he saw them—be it on the basketball court, or in the political arena. USA Today confirmed the letter’s authenticity with accountant Tim Breedlove, who said that the letter was sent to about 180 of Smith’s former players. Sports Illustrated, meanwhile, estimated that Smith coached 184 players between 1961 and 1997. It remains to be seen if the NCAA will attempt to sanction Dean Smith’s estate for this final gesture of friendship, or perhaps add it on to pending charges against UNC.